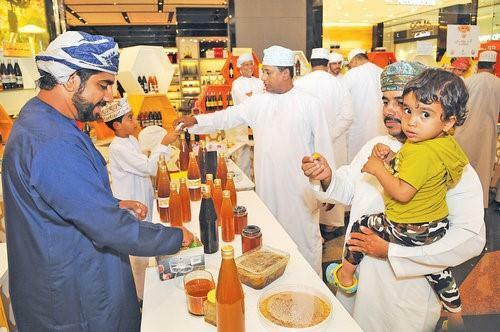 (MENAFN - Muscat Daily) Muscat- Thirty-two apiarists from different parts of the sultanate showcased products at the 11th Omani Honey Market that came to an end at Muscat Grand Mall on Saturday. The four-day event was organised by the Ministry of Agriculture and Fisheries, in cooperation with Petroleum Development Oman as part of their interest in promoting honey bee breeding sector, enhancing food security and encouraging apiarists to maximise their economic returns. The market began under the patronage of Dr Khalid bin Salim al Sa'eedi, secretary general of the State Council. The honey market aimed at enhancing honey bee breeders' skills, raising public awareness on the Omani high quality honey products and encouraging youths to venture into the field. The ministry earlier announced a project for the production of queen bees and honey at a cost of RO150,000. The project is supported by the Agricultural and Fisheries Development Fund. The project aims at supporting six beneficiaries in the job seekers', limited income and retirees category. The project will also create six queen bee incubators in the governorates of South Sharqiyah, North Batinah, South Batinah, Dhahirah and Dakhliyah. The incubators will meet the growing needs for queen bees by the Omani honey bee breeders. During the past period, the ministry also imported certain Australian trees and planted them in grazing areas. The trees contributed to increasing honey production after the deterioration of production due to lack of rains, overgrazing, desertification and construction growth. The previous honey markets contributed to increasing production. The statistics for agricultural sector in 2017 point out that the sultanate had around 100,000 apiaries that produced about 485,000lt of honey.